Just realized I should have let you all know that if you can get your hands on the January issue of Alive Magazine, I have a vegan cooking feature on page 130. The January copies may only be on your hfs shelves for another few days, so grab a copy if you can! If you are excited to see these vegan recipes in Alive, drop them a quick e-mail and let them know... can only help encourage more of the same! Hooray for lentils! And your article of course ;) THat chili looks delicious. I love sweet and spicy. I love these soups! Thanks for giving us such wonderful recipes. I am really excited about the soy free buttercream frosting, do you need any testers? The chili recipe is to-die-for and I can't wait to make the sniffle soup. Just sent an e-mail to Alive. I love the lentil soup. What wonderful flavours. Congratulations ...great recipe choices. The chili is one of my favorite recipes...we make it often. They look so fantastically comforting. Mmmmm..
Total winter comfort dishes! I'm going to see if I can get my hands on the magazine. Thanks DreenA! Thanks VegNextDoor for dropping a line, let's hope they want to continue more vegan features! Laci, just so you know, Alive is a Canadian publication that is available free in health food stores in Canada. I don't know if it is distributed at all in US stores, and not sure where you are located, so I thought I'd give you the scoop! Thanks for alerting us, I'll send an e-mail to them! Just wanted to let you know that I was just at a safe-way here in Edmonton and noticed that they were selling ED&BV and VLV!! I was really happy to see that. Of course, I already have both so didn't purchase, but wanted to let you know. my silly husband made the sniffle soup - YUM - but had never even noticed it in EDBV - oh well - I was just gonna complain (again) to Alive mag about how they blah blah blah about vegan all the time & then host meaty fare - when BOOM hoorah! It was Dreena B - so yippy! Yes, we have that magazine here in Canada :) at my local HFS too. 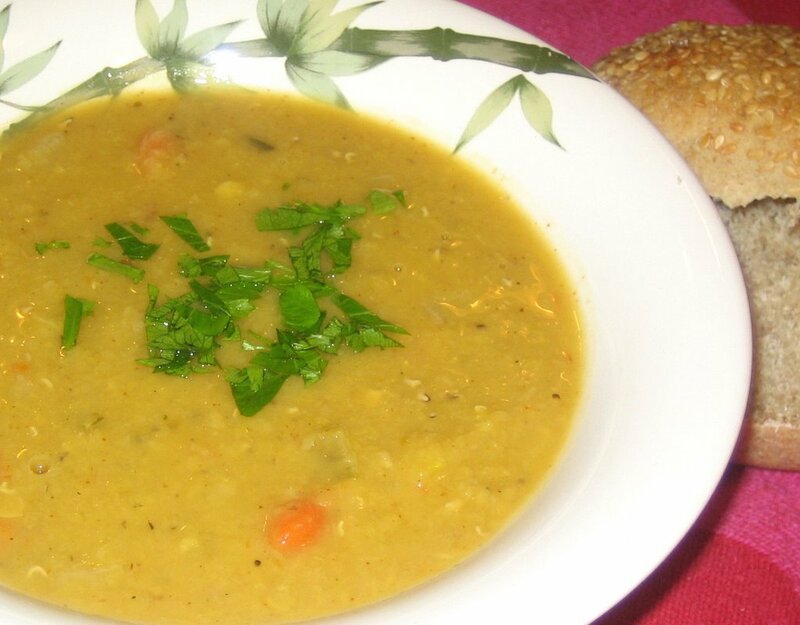 Love lentils - they have to make the very best soups and stews. Thanks for posting this!!! 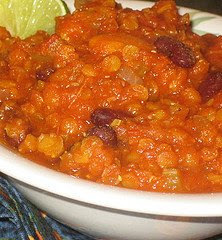 Thanks for sharing your Sweet Potato Lentil Chili recipe. I made it last night, and loved it. I especially liked the addition of the lime juice- it tied all the flavours together so well.